One day Neil Gaiman will rule everything. I’ve seen it in the stars. I’ve foretold it in tea leaves. 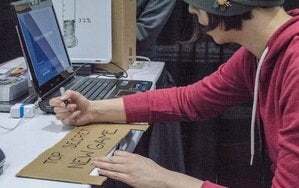 I heard about it at GDC Next 2013 in Los Angeles on Thursday. 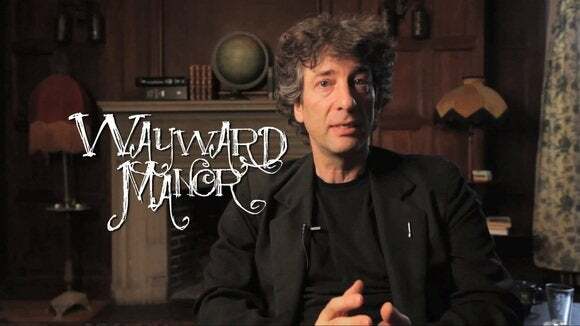 Gaiman, author of novels like American Gods and Coraline, is involved on a new game entitled Wayward Manor, in collaboration with The Odd Gentlemen, developer of critically-acclaimed game The Misadventures of P.B. Winterbottom. Wayward Manor is a puzzle and adventure game, built in the style of classic Hollywood whodunits. You’re a ghost—more akin to Beetlejuice than Casper the Friendly Ghost. Your goal is to drive a bunch of obnoxious residents from your home by exploiting their fears, uncovering the truth behind the mansion in the process. The Odd Gentlemen claim Gaiman is doing more than just writing Wayward Manor. Most writers outside the game industry are used to a more linear or film-like format, even though games are fundamentally a choice-based narrative. This can be a huge detriment when writing game stories, as it tends to funnel players down a specific path. According to Korba, Gaiman “got” games and understood what made the medium special. There’s very little dialogue in Wayward Manor—in fact, Korba and the rest of the team are actively removing dialogue at this point to let Gaiman’s story shine through the interactive elements. And it all started with a bunch of Lego blocks. Paper prototyping, as you might expect, involves physically building the basic elements of the game out of available materials, whether clay, toothpicks, Lego, or actual paper. What you end up with is something between a board game and a more abstract experience like Dungeons and Dragons. Wayward Manor was built on a base of LEGO prototypes. 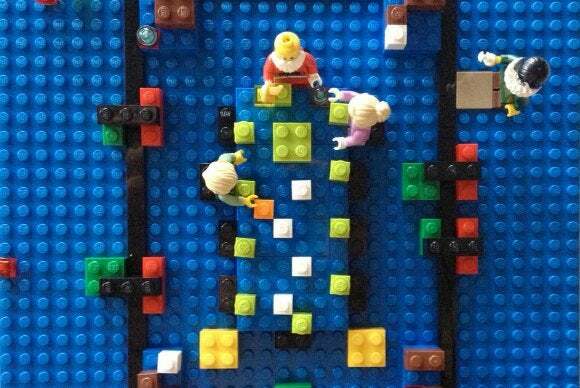 “We’d set up these levels in Lego, and it was color-coded and the bricks all corresponded to something in the game. A one-piece brick would be a level one object you could possess, a two-piece brick would be a level two object and so on,” said Korba. “So we’d create these little scenes and then we would play them with people. We’d ask them what they would touch, and then we’d act out what would happen,” he continued. And that’s what hooked Gaiman. Paper prototyping is just abstract enough to make a game fun even in the early days of development, when the actual digital prototype is still a garbled mess. “With a paper prototype, since it’s so abstract and a lot of times plays like a board game, you get people’s imaginations working and they can see where the game could go,” he continued. We’re still a bit off from exploring Wayward Manor ourselves. Korba showed off some digital prototypes during his talk, but the full game won’t see release until next year. 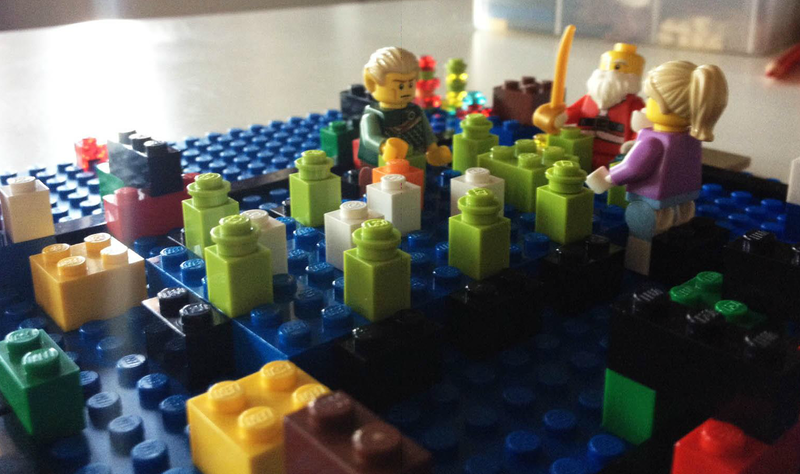 In the meantime, maybe you should bust out that old Lego collection and try your hand at building your own games.